Wireless home security cameras make up one of the most popular segments of the smart home market, and it’s easy to see why. These awesome devices let you see exactly what’s going on in and around your home at any time, from anywhere in the world. They can even alert you when there’s movement in certain areas and automatically capture video. Because home security cameras are popular, there are so many options out there and it can be difficult to figure out which one is right for you. That’s why we’ve tested all the most popular models on the market and determined the best cameras for most people! The Wyze Cam was nothing short of a game-changer in the home security camera market. It offers the same great features as much more expensive models, but for a small fraction of the price. What’s more, it packs features that you won’t even find on premium cameras, such as 14 days of cloud storage for free. Wireless security cameras are terrific because they’re easy to set up, but wire-free cameras take that convenience to the next level. Since they’re powered by batteries, they don’t need to be plugged into a wall. 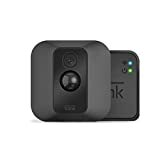 Most battery-powered cameras last just a few months before needing to be recharged, but cameras in the Blink XT Home Security Camera System lasts for a class-leading 2 years before they need new batteries. Arlo Pro 2 Wireless Home Security Camera System. Even more robust than the Arlo Pro, with new features like motion zones and higher-resolution video. 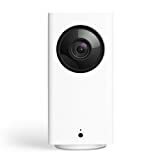 YI Cloud Home Camera. A good alternative to the Wyze Cam Pan, with remote pan and zoom capabilities. Nest Security Camera. A bit pricey for the features it offers, but it ties in perfectly if you already have Nest products.